The SPM1000-115 is a magnetically driven, fully submersible marine HVAC coolant pump that circulates seawater. 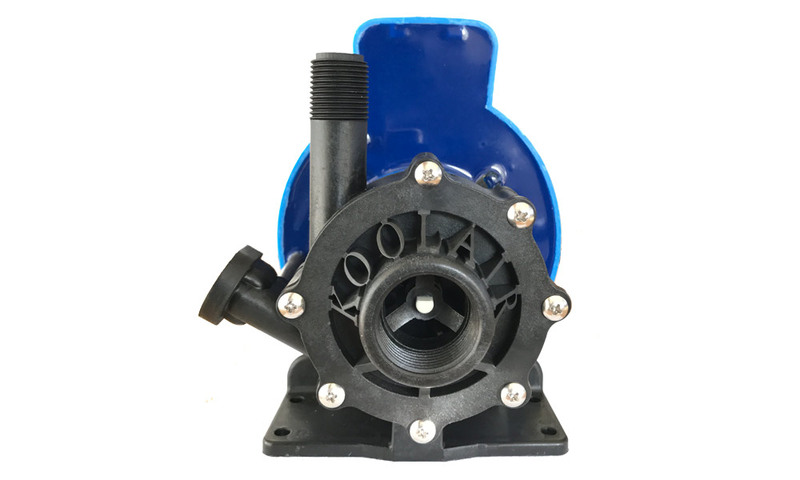 The pump is epoxy encapsulated, which allows the SPM-1000 to run fully submerged in many liquids or in open air for complete moisture protection. The hardened Carbon bushing allows for extended run dry time without any damage to the pump head. The Koolair SPM1000-115 Submersible Magnetic Drive Marine HVAC Seawater Circulation Coolant Pump, Replaces March LC-5C-MD Pump 115v, 1 “FPT Inlet, 1/2” MPT Outlet, Nylon Front / Rear Housings, Ceramic Shaft and Washers, Ceramic Magnet, 17 GPM @ 27 Feet to Head, Run Dry Protection. 1/8 HP, 115 Volt 50/60 Hz, Epoxy Coated Submersible Motor. The SPM1000-115 is also ISO 8846 Marine Ignition Protected. 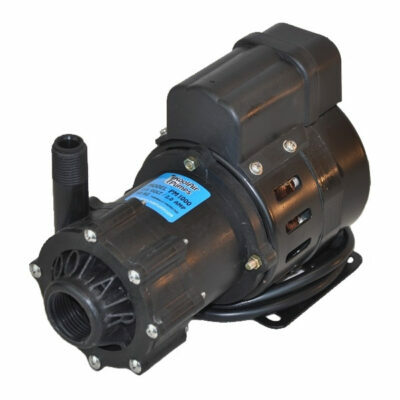 Economical March LC-5C-MD Replacement Pump with a 115 volt motor. 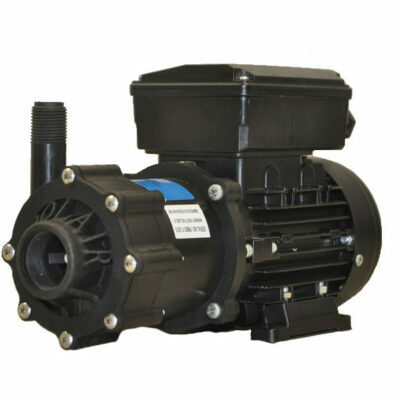 To withstand thermal overloads without failure, the pump has run dry protection. Finally when cooled, the pump will resume operating normally. Polypropylene, Buna N and Ceramic Magnet make up the wet end materials exposed to liquids. When submerged, Epoxy, Stainless Steel, Polysulfone, and also the Cord will come in contact with the solution. 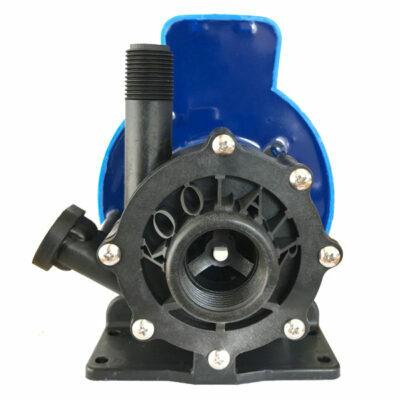 Includes fully integrated, heavy duty marine base and also the original base in contrast to other pumps. The motor is a 1 Phase 230V, 1/8 Horsepower motor, running on either 50 or 60 HZ. The pump is not self-priming and requires flooded suction. 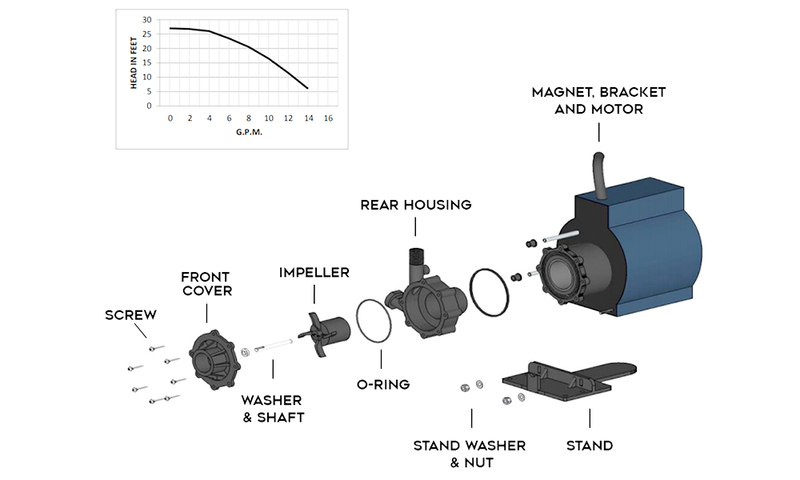 The magnetically driven SPM1000-115 volt pump with no shaft seal is our core model. In open air or furthermore, fully submerged, the PM500 pumps as a result offer complete moisture protection due to being epoxy coated. When re-assembling the pump for service also make sure all “O” Rings are properly seated. ISO 8846 Marine Ignition Protection. Most commonly used on your boat for marine air conditioning while circulating seawater. Koolair Pumps | Run Dry Protection To Keep You Cool. 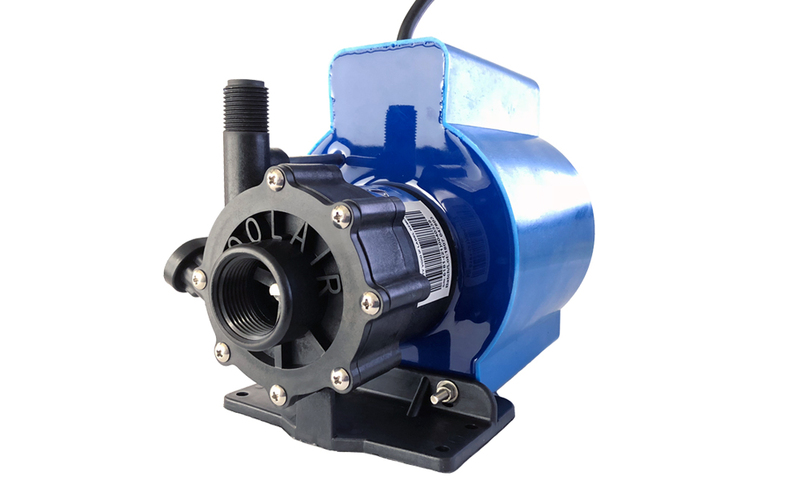 Koolair Pumps are guaranteed only against defects in workmanship or materials for a period of one year from date of manufacture while pumping water. Packed weight is 18 pounds. Please see our data sheet similarly for flow and curves. Look under additional information tab to find mechanical specifications. If you are looking for less flow and head, check out our other models.